Looking for trusted heavy duty accident recovery in Frederick MD? Derek’s Towing & Recovery is available 24 hours a day, 7 days a week for heavy duty accident recovery and wrecker service in Frederick and surrounding areas. We service all of Frederick County and Montgomery County, MD including Germantown and Gaithersburg. If you need fast accident recovery along I270, I-70, I-495, Rte 15, Rte 40, Rte 355, Rte 85 and more. 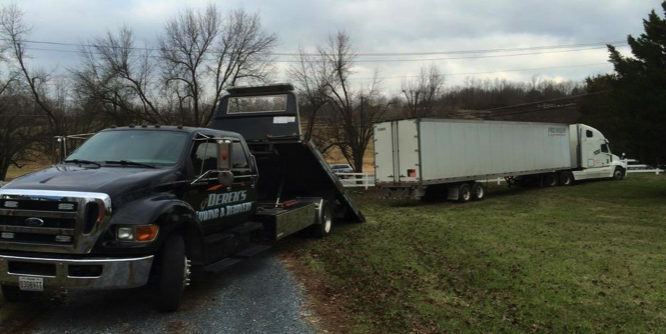 Call Derek’s Towing & Recovery at 240-457-7774 24/7 for expert emergency retrieval and recovery of large semi-tractors, buses, coaches, tractor-trailers, RVs, fleet trucks and more. We are fully equipped and provide fast response times in heavy duty towing, off-road winching, up-writing, motorcycle ATV towing, and roadside assistance in Frederick and surrounding areas.